In the name of #curlsonfleek, our hair can become dry and brittle to the touch due to holding ingredients like polymers and certain polyquats present in our styling products. But thanks to the increasing demand for more natural products, brands are taking note and delivering gels and curl definers that are botanically-based. If you follow the Max Hydration Method, swear by the Curly Girl Method, or just are an avid fan of more natural than synthetic hair products, then this list is for you! If you're tired of gels that dry out the hair and instead want a one-two combination of moisture and definition, look no further than these bottles and jars of botanical bliss. Botanical gels are made overwhelmingly with ingredients you recognize and can pronounce. They are often full of oils, herbal extracts, and humectants (like aloe and agave) that not only help keep the hair from drying out, but that have conditioning benefits as well. 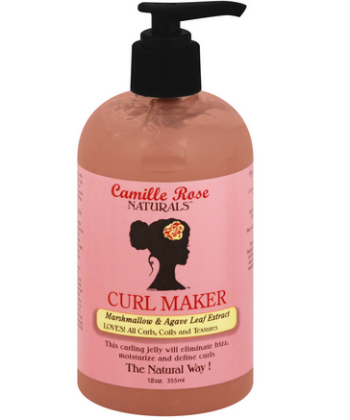 Camille Rose Naturals hit it big this year when they released a new formulation of their popular Curl Maker gel. Naturalistas everywhere (myself included) were over the moon with the new formula, and how much it delivered on its promises of no more flaking and more definition and shine. The new Curl Maker is absolutely amazing, and provides frizz-free definition while moisturizing the hair with coconut oil, aloe vera, castor oil, marshmallow, and agave. Want to know how the new formula is different from the old one? Watch my video. 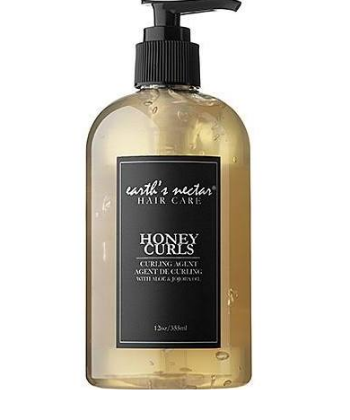 Earth's Nectar Honey Curls is an elegant blend of aloe, jojoba, sweet almond, and glycerin designed to smooth frizz, enhance shine, and create soft, touchable curls. It is versatile enough for all lengths and types of hair, and can be used to set wash and go's twist-outs, braid-outs, and rod sets. Believe it or not, it can be used on locs too! 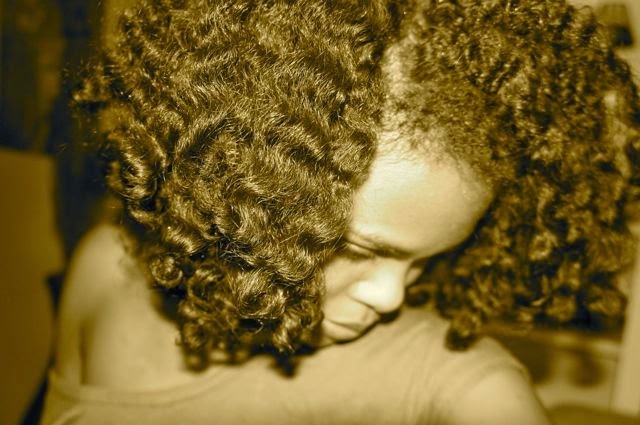 Another favorite of mine (and naturalistas everywhere) is the pH balanced Obia Natural Hair Curl Enhancing Custard. Formulated with olive oil, grapeseed oil, argan oil, and wheat protein, this botanical gel creates soft, defined, and touchable curls that last for days. The oils impart softness and shine, while the protein adds strength to the hair. And did I mention that it was pH balanced? Keeping curly cuticles compacted and flat is one of the best ways to improve shine and moisture retention, and the Curl Enhancing Custard definitely delivers on that! One of my absolute favorite curl definers of 2014, TreLuxe's Hi! 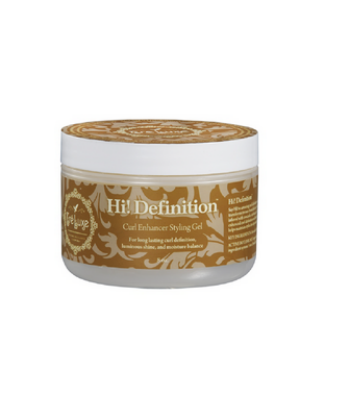 Definition Curl Enhancer Styling Gel is formulated aloe, seaweed, avocado, and honey, among other natural oils and extracts. It is a powerful styler, and a little bit goes a very long way. One of the standout components of Hi! Definition is their one-of-a-kind Active Botanicals 360 Curl Complex with tomato fruit extract. Want to know what that means, and more about how Hi! Definition performs? Click here to read my review. This multi-use gel has quickly become a favorite of mine. It calls itself a butter, but what it really is, is an aloe-based gel enriched with shea butter, essential oils, and silk powder. It coats the hair like a gel, nourishing and moisturizing while aloe seals the cuticle and enhances shine. Although it is thick, it dries incredibly lightweight and does not weigh the hair down whatsoever. The end result is light, fluffy, shiny curls that smell amazing! Grab it in the Island Mango scent, and thank me later! If you love peppermint and cool tingles, then Koils By Nature Peppermint Soothing Herbal Defining Gel is right up your alley. Not only is it infused with botanicals like calendula, burdock root, horsetail, and nettle to stimulate the follicles and strengthen the roots of your hair, but it contains aloe, shea, macadamia nut, and Jamaican black castor oils. These oils combined help to improve elasticity and shine, while easing flaking and dry scalp conditions. This gel has a light hold, so it is best for naturals and curlies desiring mega volume with some definition. 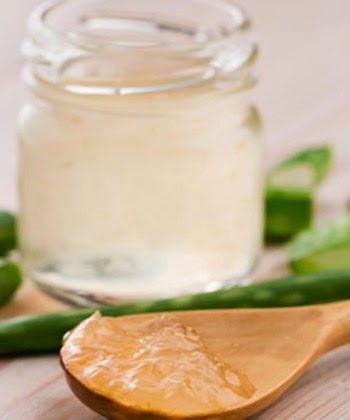 For the curly girls on a budget, DIY Flaxseed Gel is one of the most cost-effective botanical gels you can buy and make. 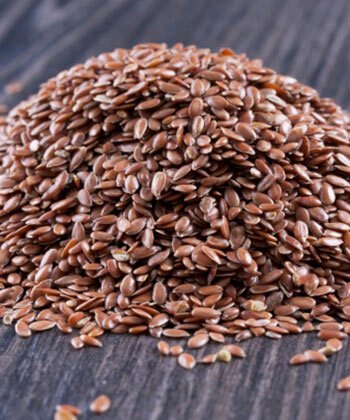 Flax seeds themselves cost about $1.29/lb in bulk, and trust me -- a pound of flax seeds is enough to practically make a lifetime supply of gel. You can customize the gel and blend in extracts, essential oils, and carrier oils of whatever type you prefer. In my flax gel mix, I blend in jojoba oil and sweet almond. Just don't use coconut oil --when you refrigerate the gel, you'll end up with white balls. After you make your gel, remember --those flax seeds are reusable for at least another two batches! Do you love botanical gels? What are some of your favorites?